What is Pilates? Is an exercise regime that consists of slow, controlled, flowing movements that primarily strengthen ‘core’ muscles. These stabilize and support the spine, realign your body and helps correct postural problems. Give relief from back, shoulder and other pain. Practising Pilates brings your mind and body together as you take control of your movement. Your body awareness will improve and you will develop good habits that you can use in everyday life – not just in class. 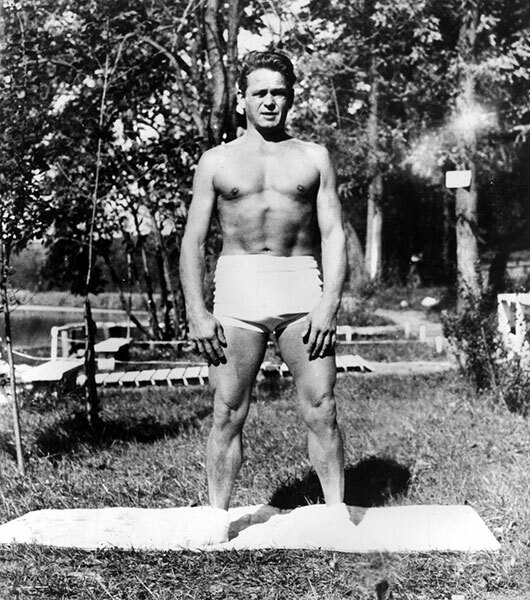 Joseph Pilates is quoted as saying ‘In ten lessons you will feel a difference, in twenty you’ll see a difference and in thirty you will have a whole new body‘. We can’t guarantee that but are sure you will quickly feel the difference and the benefits as experienced by our many regular, long-standing students. I would like to say that as someone who has a disability your classes are welcoming and enjoyable. I like the fact that every week there are different exercises and props to use. I have really noticed a difference as my body is not so stiff and I’m in less pain. As a person and a teacher, Sandy is the best. She has a great sense of humour, is open, trustworthy and she knows her stuff. She continually updates her expertise. So you know you are in good hands. She encourages and takes you to your limit but never pushes too far, allowing each individual to know their own limits. These limits do change/improve over time as you continue to go to the sessions. For example, both of us have become stronger, have greater range of movement, are more flexible and back pain has diminished. We both enjoy and look forward to the classes. Having been to many Pilates classes over the last 15 years, I can honestly say that Sandy’s class is the best ever. She manages to work every part of your body, but also manages to make it fun. I have been going for about two years & have enjoyed every moment. Since starting Sandy’s class after Easter there has been a real improvement in my strength and mobility. I used to rely on a lumbar support for travelling more than an hour at a time but that is well behind me now. I always enjoy Sandy’s classes. She is a great instructor, extremely patient and has a good send of humour. I joined 4 years ago as I need to improve my stretching and posture. Sandy makes the class enjoyable even when I am grimacing!! I love it. The classes are brilliant – hard work but fun. Sandy is a great teacher works hard and has a great sense of humour (which she needs most of the time!) I really enjoy the classes. Sandy lets us know each week what areas we will be focussing on in an email, but we never fully know what will happen in class as she keeps everything fresh. No two weeks are the same as she continually seeks to impart new routines of exercises and movements aimed at improving our mobility and strength. This makes it even more enjoyable as I would find doing the same thing each session would become boring. We highly recommend Sandy’s Classes. Coldharbour Lane, Thorpe, Surrey TW20 8TE (Parking available behind the building). See map. Woodthorpe Road, Ashford, Middx TW15 3NJ. See map. Victoria Street, Englefield Green, Surrey TW20 0QX. See map. Class numbers are limited so please contact us to check availability.